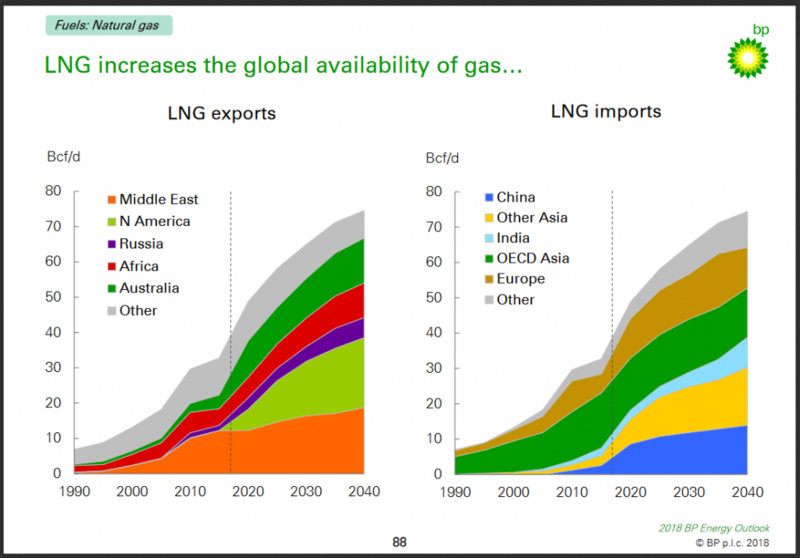 Natural gas plays a significant and growing role in meeting demand for energy in developing countries where access is far from universal, according to data recently released by the International Energy Agency (IEA). At least 1 billion people are without electricity worldwide, the agency reported. 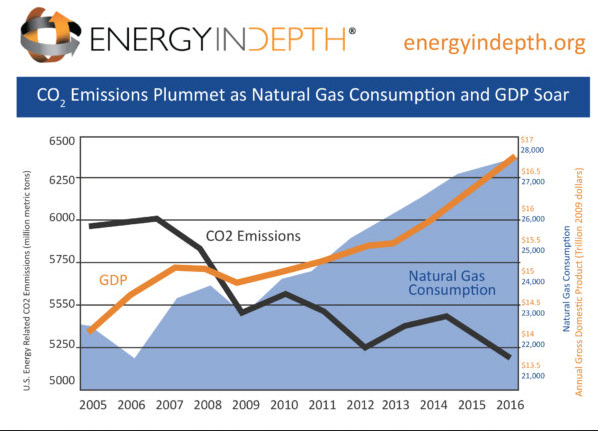 Increased natural gas production has positioned the United States to help decrease that number and provide developing nations with the tools to increase access to energy – a key building block for reducing poverty and improving air quality. 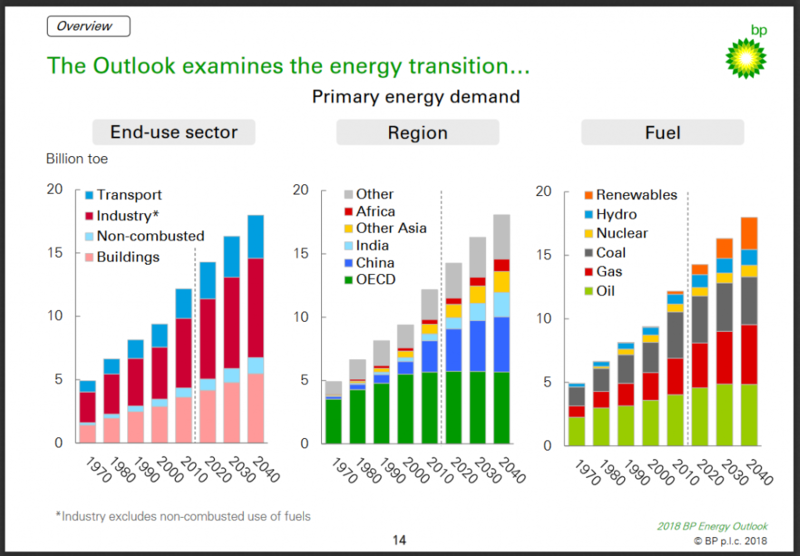 IEA notes that more than three-quarters of the 570 million people who gained access to electricity since 2011 were concentrated in Asia, a region that BP’s 2018 World Energy Outlook estimates will represent about two-thirds of the world’s growth in energy consumption through 2040. The United States exported approximately 681 billion cubic feet of natural gas from January to August 2018, according to the Energy Information Administration (EIA). 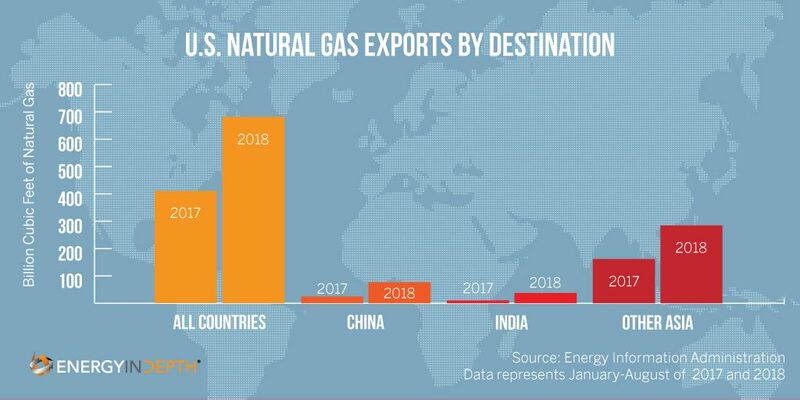 About 58 percent of those exports went to India, China and other Asian markets – more than double the gas sent to Asia for the same period of time in 2017. The shale revolution is providing one solution to the world’s energy access problem – with the potential to bring tremendous benefits to the developing world that include both healthier air and improved global economies.